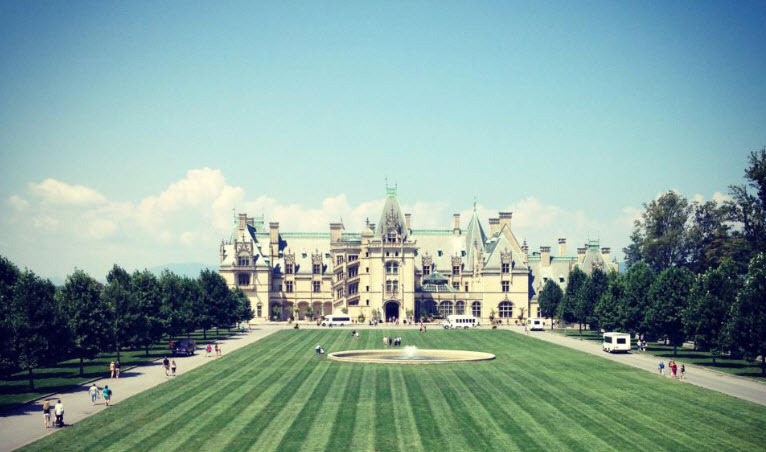 Most of my clients have property smaller than this abode in Asheville, N.C., The Biltmore! That doesn’t mean they are happy about it. The man especially does not want his estranged wife to have “half of MY retirement”. Most think their stay-at-home wife should walk away with nothing. That helps explain why they are in a divorce. Strong marriages tend to assume everything is shared and both parties equal. But, when a wealthy person marries a pauper, or people in their 40’s-60’s with adult children and other complications marry, the ramifications can be much different than when two people of similar status marry young. WV is “An equitable distribution state”, not a “community property state”. 3. If separate property such as cash is deposited into a joint account, or conveyed 50% by deed to the other spouse, it usually is treated as a completed gift or conveyance of half of that property. b. The real estate becomes marital as that debt is paid off and equity increased. If the other $20,000 came from separate property of a spouse, there is some law supporting the concept that the contributing person can ask for a variance from the 50%/50% rule, but the stronger law presumes it as a gift too. f. The “simple calculation” is to divide 25 years by 40 years and to half the result : 25/40 = .625; .625/2 =.3125, or just under 1/3 of the 40 year fund goes to the spouse. The 25/40 is called the “marital coverture”. Lessons learned from equitable distribution can be hard ones, just as picking the wrong spouse can be. Many people begin to think of getting a pre-nuptial agreement, a subject for another day. (Editors: My case of Lee v. Lee, 721 SE 2d 53 (2011) reveals some of the perils of negotiating your own parenting plan. Both parties here lost because of a down-loaded Internet form!) My thoughts for most West Virginians, even ones who have gained some years, and some property, if you understand the principles below, you just need to make good decisions, consult your lawyer when it is time to make these decisions and manage your property with common sense and compassion. Good luck. And try to marry the right person, for the right reason(s). My son Justin Robert Hunter should be credited with the lovely photo of the Biltmore. j.b.h.